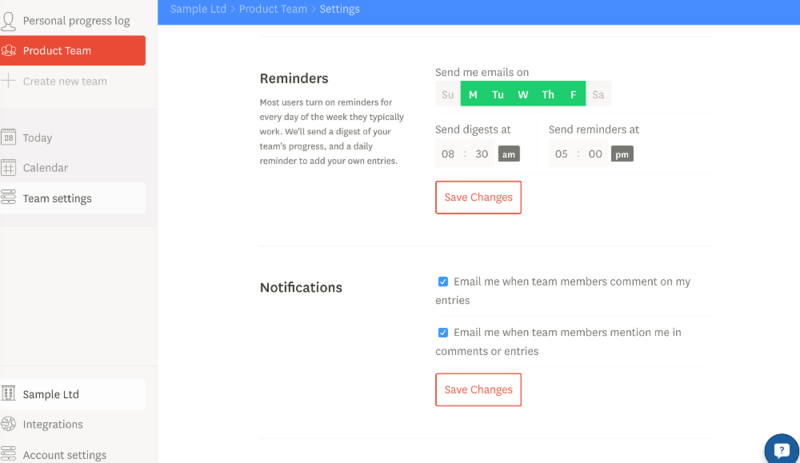 You can turn your emails back in the Team Settings page. Log in to I Done This and head towards the Team Settings from the Organization view or click on the Personal Progress Log Settings. Scroll down to the Email notifications section and highlight the days of when you want reminders and digests to come in. You'll start getting your I Done This emails again.